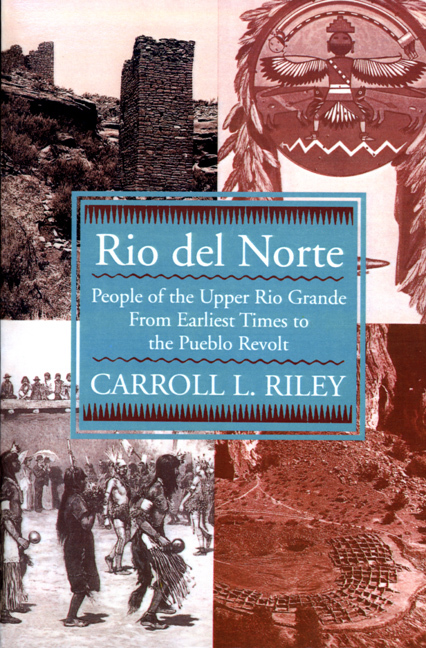 Rio del Norte chronicles the upper Rio Grande region and its divers peoples across twelve thousand years of continuous history. Based on the most up-to-date historical and archaeological research, Rio del Norte is a tour de force, highlighting the unbroken history of the upper Rio Grande. Beginning with the mammoth hunters of eleven millennia ago, Carroll Riley adeptly eaves the threads of twelve thousand years of continuous history through the introduction of agriculture, the rise of the Basketmaker-Pueblo (Anasazi) people, and the extraordinary "quickening" that occurred along the Rio Grande and its tributaries as the Anasazi era ended. At that time large towns appeared, some holding several thousand people who practiced irrigation-based agriculture, maintained complex social and political organizations, and had a rich artistry. This "golden age" was continuing when Spaniards contacted, then colonized and missionized the region. In 1680 the Pueblos joined in a powerful record and ousted the invaders. Although the Spanish returned, the Pueblos have maintained important parts of their cultural heritage to the present. Carroll L. Riley is professor emeritus of anthropology at Southern Illinois University.